A conversion is when someone completes a specific action after seeing your ad. That action can be anything you want: visiting a website, signing up for an email list, viewing a video, making a purchase, etc. Facebook uses a last-touch attribution model, which means they'll attribute full credit for a conversion to the last ad the person clicked or interacted with. If the person did not click on an ad, full credit is attributed to the last Facebook ad he or she viewed. Many advertisers wrongly assume that the conversions attributed to a campaign include only the people who click the ad and immediately convert. Viewing a webpage is a simple action consumers may perform when they're interested in learning more about what an ad is offering. But many actions or decisions, such as a decision to purchase, are often complicated. It frequently takes more than just one click, day, or even week for someone to buy or convert. The number of days between when a person views or clicks your ad and then subsequently performs a key action is called an attribution window. What Is My Attribution Window? On ToneDen, your attribution window is set to 28-day view and 28-day click, which means you receive credit for actions that happen up to 28 days after someone viewed or clicked your ad. This improves optimization by further understanding the right people and audiences, driving more actions, and providing stronger results. This is different than the default attribution window in Facebook's ads manager, which is a 1-day view and 28-day click window. What is the difference between ToneDen and Facebook's attribution window? A 28-day view and 28-day click means that when someone views or clicks your ad and purchases at any point within the following 28-day period, your ad is given credit for that conversion. In Facebook, by default, a 1-day view and 28-day click window means that your ad is only given credit for the conversion if the purchaser viewing your ad has actually clicked on your ad and converted within the 28 days from the first viewing of the ad. Remember: 85% of purchasers never click on an ad. By Facebook's default measurement, your ad will only get credit for the conversion if a person viewing the ad makes a purchase decision that same day they viewed the ad. Why does ToneDen do this differently? Imagine running an ad campaign starting on Monday for an event on Friday of the same week. 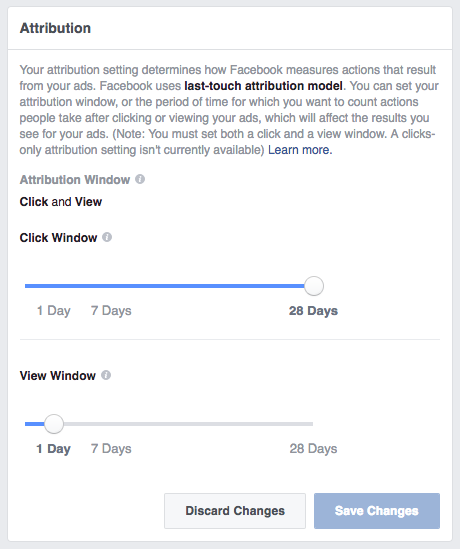 With Facebook's default attribution window, you would not be able to see conversions from people who saw your ads on Monday, Tuesday, or Wednesday, and then purchased on Thursday or Friday without actually clicking your ad. ToneDen's 28-day view widens the window to account for all the people who never click your ads but still end up buying. The result is a much more accurate analysis on the effectiveness of your ad and its different audiences and creative combinations. ToneDen will then use the more granular data to further improve your campaign's budget optimization. 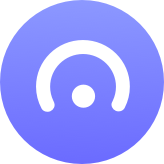 By analyzing higher quality signals over a longer period, our optimization algorithm can learn from and adapt to more data, improving how our system allocates your budget to higher performing audiences over the course of your campaigns. How Can I Change My Attribution Window in ToneDen? Still want your ad metrics in ToneDen to match Facebook's default setting? It's as easy as flipping a switch. How Do I Get My Ads Manager to Show ToneDen's Attribution Window? Have any questions or need more clarification? Send us a message or email any time--we're happy to help!